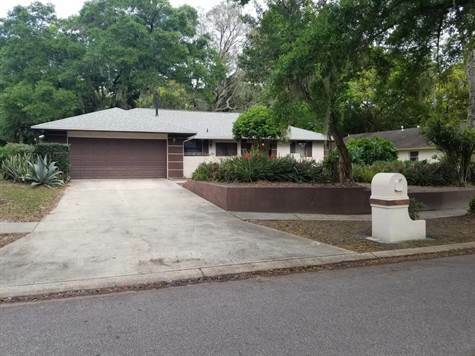 This newly renovated 3 bedroom, 2 bath, 2 car garage Orlando single family residential home will be available soon. It has a split bedroom plan, foyer with coat closet, eat in kitchen with lots of cabinets and pantry closet, great room, and sliding doors to the open patio with pergola. This home was built in 1983 and has over 1,502 htd sqft of wonderful living space. Block and Stucco exterior construction. Zoned for Winter Park (High School), Maitland (Middle School), and Lakemont (Elementary). microwave, dishwasher, & disposal. New ceramic tile flooring in kitchen, bathrooms, and master dressing area. New wood laminate in foyer and great room. New carpet in bedrooms. New bathroom vanities with granite counter tops. New faucets & sinks. Updated light fixtures. New Interior and Exterior paint to come soon. Nicely landscaped. and is on septic. Easy access to major roads and is within a short distance to both the University of Central Florida and Orlando International Airport. must be present for all showings as this property is still undergoing some renovations. www.ReneBergRealty.com, Rene' Berg Realty, Inc. 407-810-4905.